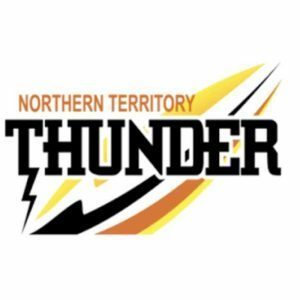 LADDER leaders, Southern Districts and Nightcliff all but consolidated the top two spots with six rounds remaining in the Northern Territory Football League (NTFL) Men’s Premier League. The Crocs and Tigers hold a 16-point lead and considerable percentage over the rest of the competition. Waratah and Tiwi Bombers gained vital wins and percentage in their respective victories, while Darwin will hope to bounce back next weekend after likely erasing any chance of snaffling second before finals. Nightcliff: M. Hagan 4, J. Butcher 2, C. Ilett, T. Melville, W. Derksen. Darwin: D. White 2, B. Mitchell, J. Clark, D. Shillabeer, R. O’Sullivan, M. Campbell. In the match of the round, second placed Nightcliff took home the four points against a gallant Darwin Buffaloes, likely locking up a top two spot in the process. Despite trailing by seven points at the first break, a three goals to zero second term resulted in the Tigers regaining the lead by the main break. Both teams could only manage two goals for the rest of the game, while the Buffaloes would have rued their five behinds in the final term, having opportunities to hit the front but not capitalising and going down by 14 points. Micheal Hagan booted four goals in a terrific effort up forward for the winners, while former Port Adelaide forward, John Butcher booted two, and Danny Butcher was named the Tigers’ best. For the Buffaloes, Darryl White was the only multiple goal scorer, while young gun and AFL hopeful, Malcolm Rosas again starred in defeat, with the teenager named Darwin’s top player in the loss, while Ryan O’Sullivan was also consistent in defeat. St Marys: S. Edwards 2, R. Clarke, A. Wilson, J. Musgrove. Waratah: K. Kantilla 3, S. Weddell 2, H. Kerinaiua, T. Mosquito, S. Flanegan, S. Godden, J. Wray, J. McKenzie. Waratah made its opportunities count in front of goal in a vital 30-point win over St Marys. The four points elevated the Warriors to within striking distance of the third placed Buffaloes, while also adding a four-point breathing space to Palmerston Magpies who had a disappointing loss to Tiwi Bombers on the weekend. Kim Kantilla was the danger in front of goal, booting three of his side’s 11 majors, as Sam Weddell slotted two. Unfortunately for the Saints, they could not seem to buy a goal in the first half, registering just one from 11 scoring shots to be 18 points behind despite having two more scoring opportunities. Shaun Edwards was the only multiple goal scorer for the Saints, while Ben Rioli and veteran, Raphael Clarke were the losing side’s best. Wanderers: J. Erlandson, J. Wilson, J. Box, K. Smith Thompson, M. Totham, S. Tipiloura. Southern Districts: W. Farrer 4, D. McLachlan 2, R. Tambling, T. Brook, C. Gallio, S. Rusca, S. Thorne, M. Mummery, J. Brown, D. Staunton. Ladder leaders, Southern Districts had to fight for a half against cellar dwellers, Wanderers before eventually shaking the Eagles off in the second half. Leading by two points at quarter time and eight points at half-time, the Crocs piled on 11 goals to three in the second half – including seven goals to one in the final term – to run away with the comfortable 56-point victory. The final scoreline did not reflect the Eagles’ intent in the first half as they took it up to the premiership favourites. Will Farrer was the dominant goal kicker for the winners, booting four goals, while Dylan McLachlan was named among the best for his two majors. Dual West Australian Football League (WAFL) premiership player, Rory O’Brien and teenager, Beau Schwarze were named the Crocs best in a match which saw Southern Districts finish with 10 individual goal kickers. The Eagles had six individual goal kickers, with Daniel Weetra and Jayden Eldridge highlighted for their strong performances despite the defeat. Tiwi: A. Tipungwuti 5, R. Tungatalum 4, J. Simon 2, S. Munkara 2, H. Puruntatameri, A. Tipungwuti, A. Hams, M. Wilson, A. Wonaeamirri, P. Heenan. Palmerston: A. Davey 4, K. Emery 4, A. Lonergan 2, S. Talbot 2, M. Dennis, M. Bunworth. Tiwi Bombers have kept their finals hopes alive with a terrific 32-point victory over fifth placed Palmerston Magpies. In what was a high-scoring affair, the Bombers were always in control, booting six goals in the opening term and keeping the Magpies at arms-length throughout the contest. The talented goalsneak who received a Rookie Me Combine invitation last year, Adam Tipungwuti put on a show with five majors, while the experienced Ross Tungatalum slotted four majors and was named among the best with Jason Puruntatameri. For the Magpies, Kyle Emery, Alwyn Davey and Samuel Talbot booted 10 goals between them and were all named among the best, with Matthew Dennis determined to be Palmerston’s top player on the day, also slotting one major in the contest. In the match of the round, second placed Nightcliff took home the four points against a gallant Darwin Buffaloes, likely locking up a top two spot in the process. Despite trailing by seven points at the first break, a three goals to zero second term resulted in the Tigers regaining the lead by the main break. Both teams could only manage two goals for the rest of the game, while the Buffaloes would have rued their five behinds in the final term, having opportunities to hit the front but not capitalising and going down by 14 points. Michael Hagan booted four goals in a terrific effort up forward for the winners, while former Port Adelaide forward, John Butcher booted two, and Danny Butcher was named the Tigers’ best. For the Buffaloes, Darryl White was the only multiple goal scorer, while young gun and AFL hopeful, Malcolm Rosas again starred in defeat, with the teenager named Darwin’s top player in the loss, while Ryan O’Sullivan was also consistent in defeat. Ladder leaders, Southern Districts had to fight for a half against cellar dwellers, Wanderers before eventually shaking the Eagles off in the second half. Leading by two points at quarter time and eight points at half-time, the Crocs piled on 11 goals to three in the second half – including seven goals to one in the final term – to run away with the comfortable 56-point victory. The final scoreline did not reflect the Eagles’ intent in the first half as they took it up to the premiership favourites. Will Farrer was the dominant goal kicker for the winners, booting four goals, while Dylan McLachlan was named among the best for his two majors. Dual West Australian Football League (WAFL) premiership player, Rory O’Brien and teenager, Beau Schwarze were named the Crocs best in a match which saw Southern Districts finish with 10 individual goal kickers. The Eagles had six individual goal kickers, with Daniel Weetra and Jayden Eldridgehighlighted for their strong performances despite the defeat. Tiwi Bombers have kept their finals hopes alive with a terrific 32-point victory over fifth placed Palmerston Magpies. In what was a high-scoring affair, the Bombers were always in control, booting six goals in the opening term and keeping the Magpies at arms-length throughout the contest. The talented goalsneak who received a Rookie Me Combine invitation last year, Adam Tipungwuti put on a show with five majors, while the experienced Ross Tungatalum slotted four majors and was named among the best with Jason Puruntatameri. For the Magpies, Kyle Emery, Alwyn Daveyand Samuel Talbot booted 10 goals between them and were all named among the best, with Matthew Dennisdetermined to be Palmerston’s top player on the day, also slotting one major in the contest.